Paris is served by Orly airport and Roissy-Charles-de-Gaulle airport, both well linked by public transport to central Paris. Further out is Paris Beauvais airport, which handles charter flights and some budget airlines such as Ryanair. Most international flights use Roissy-Charles-de-Gaulle airport, France’s largest airport, which is situated 30km (19 miles) north-east of Paris. 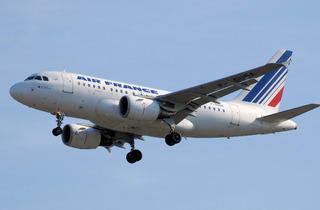 It's served by airlines such as British Airways, easyJet and Air France. Its three main terminals are some way apart, so check which one you need for your return flight. The terminals are linked by the free CDGVAL driverless train. There is a huge range of shops, restaurants and bars in the airport, and many hotels nearby. The RER B train line is the quickest way to reach central Paris from Roissy-Charles-de-Gaulle (about 40 minutes to Gare du Nord; 45 minutes to RER Châtelet-les-Halles; €9.10 single). Trains run every 10-15 minutes, 4.58am-11.58pm daily from the airport to Paris. Air France buses also connect the airport to the city (€15 single, €24 return, €7.50 under-11s, free under-2s). Buses leave every 20-30 minutes, 6am-11pm daily, and stop at Porte Maillot and Place Charles-de-Gaulle (35-50 minute trip). Air France buses also run to Gare Montparnasse and Gare de Lyon (€16.50 single, €27 return, €8 under 11s, free under 2s) every 30 minutes (45-60 minute trip), 6am-10pm daily. A taxi to central Paris takes 30-60 minutes, depending on traffic; you can expect to pay approximately €40-€50, plus €1 for each piece of luggage. Both domestic and international flights use Orly, which is situated 18km (11 miles) south of the city. It has two terminals: Orly-Sud services most international flights, while Orly-Ouest is mainly domestic. The airport houses the usual range of restaurants, shops and bars, and also boasts a games room, play areas and a beauty salon. 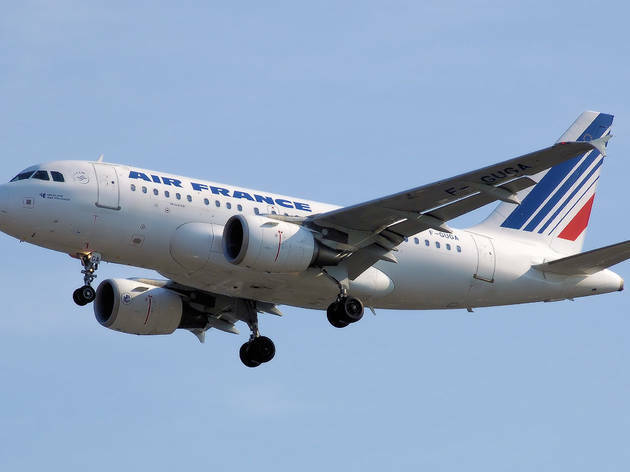 Air France buses connect Orly to central Paris (€11.50 single, €18.50 return, €5.50 under-11s, free under-2s). Buses leave both terminals every 20-30 minutes, 6am-11.30pm daily, and stop at Invalides and Montparnasse (30-45 minutes trip). The high-speed Orlyval shuttle train runs every 4-7 minutes (6am-11pm daily) to RER B station Antony (€10.75 to Châtelet-les-Halles); getting into central Paris takes about 35 minutes. You can also catch the Paris par le train bus (€6.45) to Pont de Rungis, where you can take the RER C into central Paris. Buses run every 20 minutes, 4.34am-11.14pm daily from Olry-Sud and it is a 35 minute trip. A taxi into town takes 20-40 minutes and costs €16-€26, plus €1 for each piece of luggage. There is a shuttle service between Roissy-Charles-de-Gaulle and Orly airports (€19, €9.50 under 11s, free under 2s). Buses leave Roissy every 30 minutes, 5.55am-10.30pm daily. From Orly to Roissy, buses leave every 30 minutes, 6.30am-10.30pm from Monday to Friday and 7am-10.30pm on Saturdays and Sundays. Paris Airports Service is a 24/7, door-to-door minibus service, which operates between both Roissy-Charles-de-Gaulle and Orly airports and the city. The more passengers on board, the less each one pays. For both airports prices go from €26 for one person to €99 for eight people, 6am-8pm (minimum €42, 4-6am, 8-10pm), and can be booked here. Beauvais is served by budget airlines such as Ryanair, and is situated 70km (44 miles) north of Paris. Buses (€16) leave the airport for Porte Maillot 15-30 minutes after each arrival, and buses the other way leave 3hrs 15mins before each departure. Tickets can be purchased from the arrivals lounge or on the bus.